If you're interested in history and want to learn about the history and art found throughout old cemeteries, this free presentation by historian and author Kelly Grimaldi is for you. Presented by cemetery historian and author of “These Sacred Grounds” Kelly Grimaldi. Mortality defines the human condition. We approach death and burial in ways shaped by history, culture, religious beliefs and conditions that vary over time. If you are interested in cemeteries, join me to learn why gravestone styles, symbols and epitaphs are considered a reflection of beliefs and values of the societies in which they are embedded. This presentation will explain why cemeteries and memorials look the way they do. Why are 18 century gravestones so morbid with skulls and gnashing teeth and harsh words? What happened in the Victorian era to cause an explosion of angel statuary and sentimental words of comfort on memorials? What were the two main attitudes dominating responses to death and mourning? 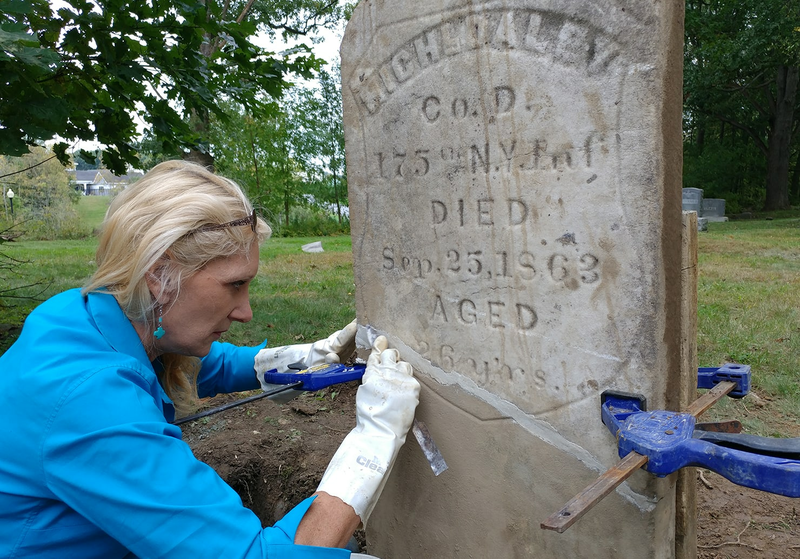 Cemeteries and memorials are learning tools and key components in the analysis of the past. Once you’ve attended this interesting presentation you’ll never look at cemeteries the same! Kelly's book will be available after the lecture for book signings!